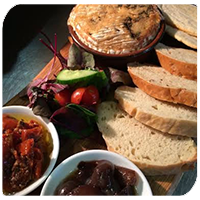 At The George we offer classic gastro pub food using locally sourced, seasonal produce whenever possible. We have a comprehensive wine list tailored to suit all tastes and pockets and of course carry a well stocked bar. 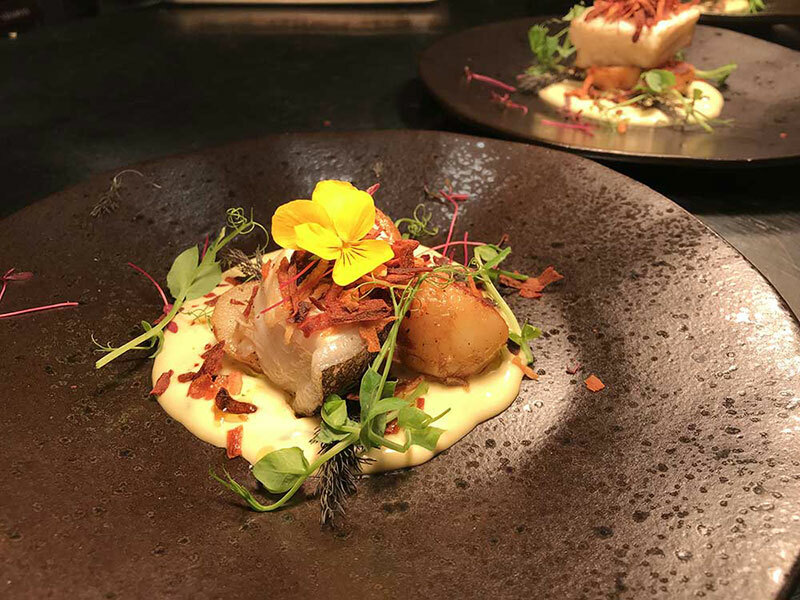 All our food is made from scratch in our kitchen by our talented team of chefs. See below for a sample menu. We also have a selection of seasonal salads on the specials board, or join us on Sundays for our Sunday roast with homemade Yorkshire puddings! For that special occasion we also have gift vouchers available for any amount, to be redeemed against food or drink. 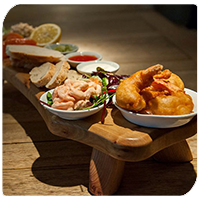 Due to high demand we operate a sittings system during busy periods. 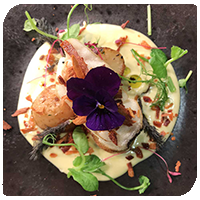 On Friday and Saturday nights tables are available at 6/6.30 and 8/8.30, giving you two hours at your table. On Saturday and Sunday lunchtimes tables are available at 12/12.30 and 2/2.30; again you have two hours at your table. If you are a party of 12 or more or are celebrating a special occasion you are welcome to have your table for the	full evening (or afternoon on a Saturday or Sunday). 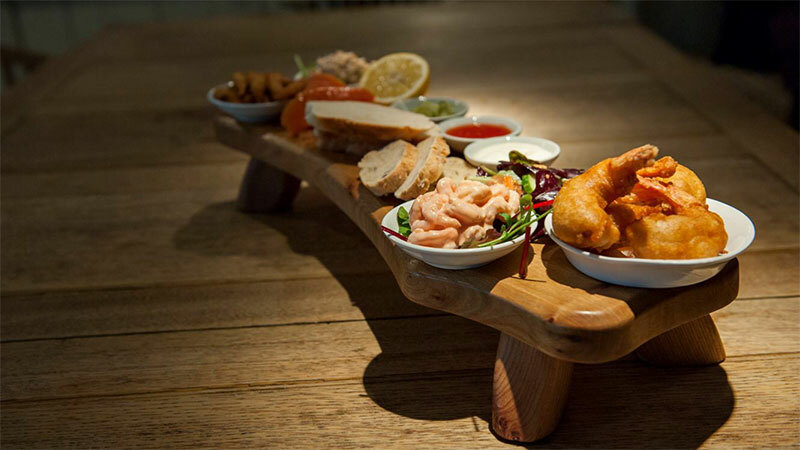 During peak times we strongly recommend booking a table if you want to eat with us. 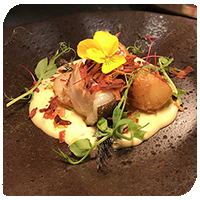 During busy periods once our kitchen is at capacity we stop accepting "Walk Ins" and can only serve customers who have booked to eat. Booked tables will be held for 20 minutes after which they will be released; if you are running late for your table please call to let us know. Thank you! 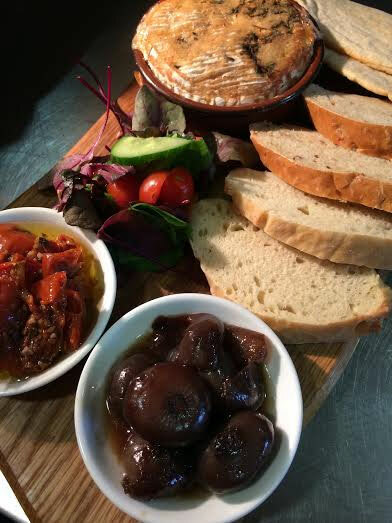 Our fabulous Local Cheeses are accompanied by a selection of Biscuits, Grapes, Celery and Homemade Grape Chutney. A long lasting sweet flavoured cheese with a nutty texture and a thin wrinkled rind, winner of the Gold Medal at the World Cheese Awards. According to Raymond Blanc: "The best Camembert in the world"
Coffee supplied by "The Hampshire Coffee Company"
Decaffeinated coffee and tea also available. Milk supplied by Maple Field Farm, Fordingbridge. Food Allergies and Intolerances: Before you order your food please speak to our staff if you have a food allergy or intolerance. We cannot guarantee that all our dishes are 100% free from nuts and their derivatives. 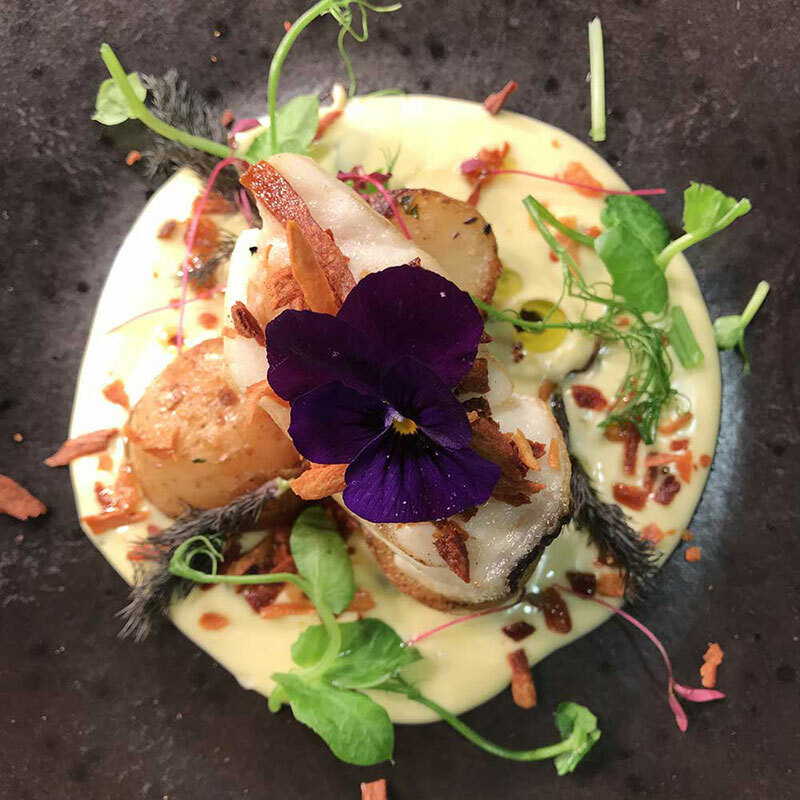 The George menu is freshly prepared by our Chefs using locally sourced produce where available therefore some dishes require at least 40 minutes cooking time, and longer during busy periods. If eating outside please ask for a Menu then order at the bar with your table number. A card is required for tabs. All tips whether received in cash or on card go directly to staff. If you are eating outside please ask for a menu then order at the Bar with your Table Number. Cards required for tabs. In the interest of Safety please keep your children at your table while dining with us, Thank You.